Proust: "The only real voyage of discovery..."
The latest hit song and music video by Coldplay is...playful! Three cheers for imagination. Enjoy! Play from the inside-out. We invite you to like PlayFull on Facebook or follow us on Twitter. Thank you for stopping by. A PlayFull life is a life that risks, a life of vulnerability. C.S. Lewis describes the alternative—and it ain’t pretty. 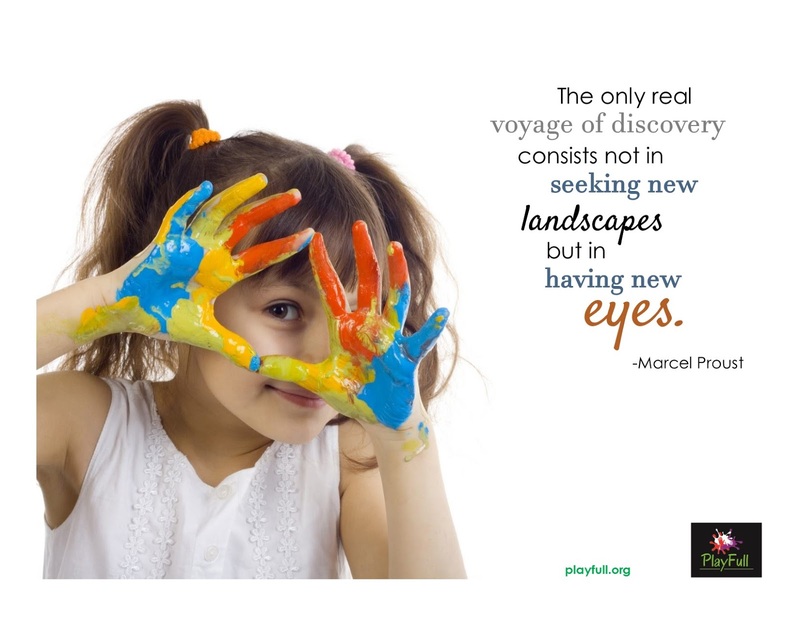 Live playfully, friends! *This quote was included in Plough’s Daily Dig; May 5, 2016.